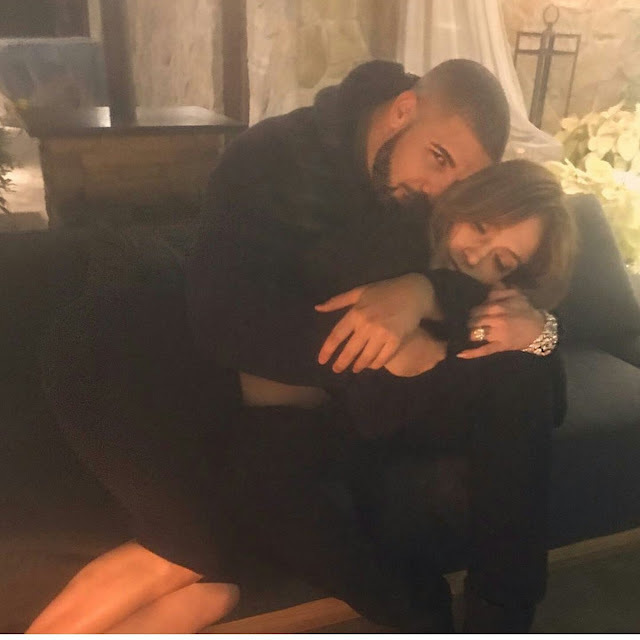 Drake and Jennifer Lopez Fuel Dating Rumors After Posting This Cozy Looking Instagram Photo - Ooooooo La La! Is Drake dating Jenny from the Block!? Well, that's the word on the street after Jennifer Lopez reportedly canceled her $1 million New Year's Eve gig to hang with her rumored boyfriend, Drizzy. According to Page Six, Drake will be in Vegas and JLo wants to hang out with him so she canceled her Miami gig. Now, there's no official word that these two are officially a thing, but their latest Instagram flicks have people talking! Well, don't they look mighty comfy (and cute)! I mean, Drake has dated the world ... Rihanna, Serena Williams, strippers, and the list goes on and on. And, JLo ... hmm, I wonder what her ex Diddy thinks about these rumors? We could just be falling for the publicity stunt trap and this is all just for an upcoming song/video/album. Plus, JLo's rep already said her and Drake are simply working on music together.